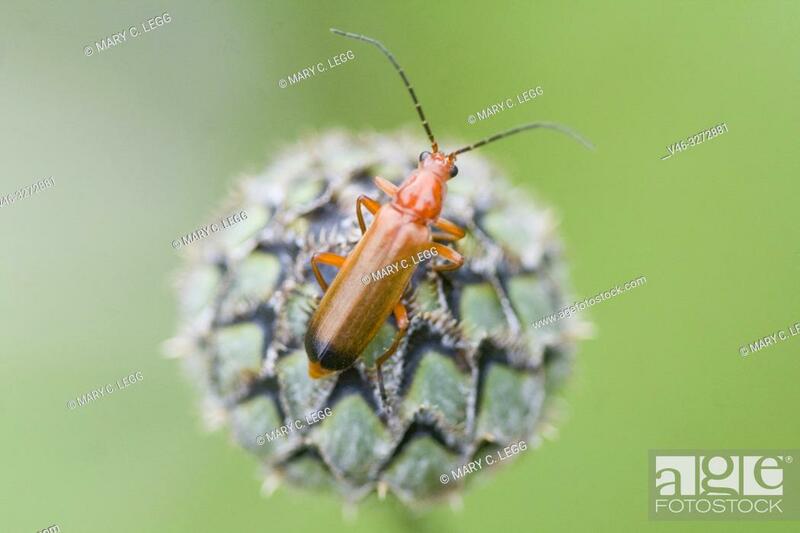 Foto de stock - Common Red Soldier Beetle, Rhagonycha fulva. slender red soldier beetle with a distinct dark band at the bottom edge of elytra. Black antennae. Femora and tibiae are red, but tarsi black ... . Size: 6-10mm. Feed on pollen, nectar and aphids. Larvae prey on ground invertebrates such as slugs and snails. Adults acitive: June-August. Introduced North America. Eat and bonk, hence infamous name. Often found on umbellifers bonking.